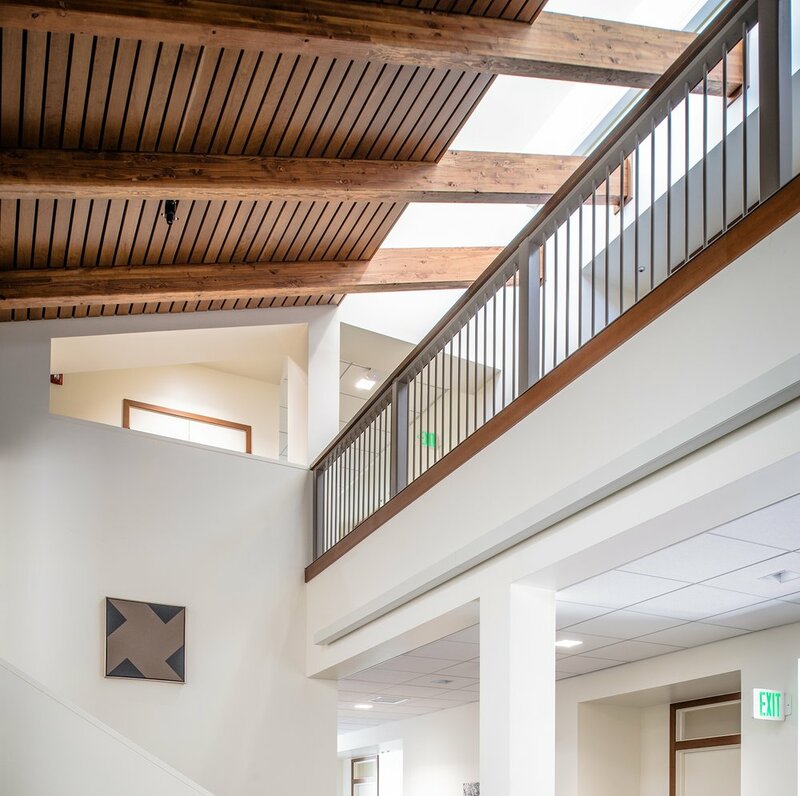 We completed full-service architectural-engineering design, construction and documentation for this new two-story addition to the Bette Cree Edwards Humanities Building at Scripps College. This liberal arts women's college is renown for its architectural beauty and rich history, and is on the National Register of Historic Places. The existing building was designed in the 1970s by architect John Carl Warnecke in a modern vernacular style. 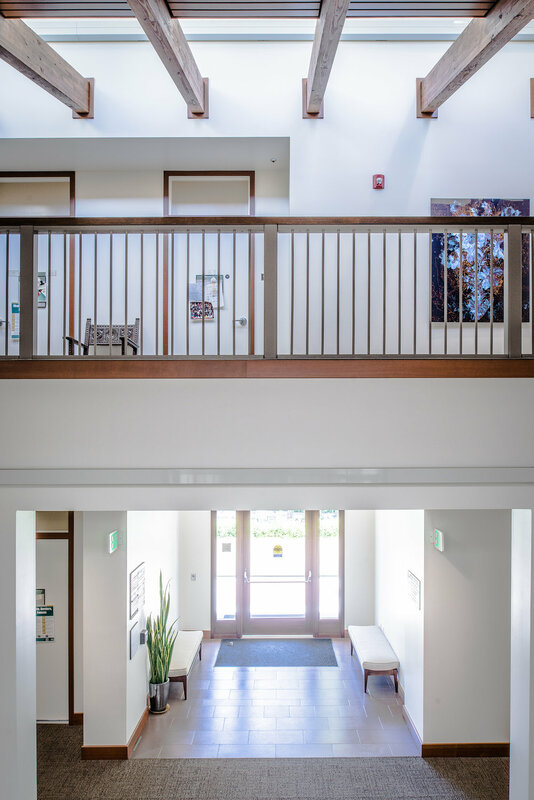 The nearly 7,500-square-foot Miller Wing integrates the Mediterranean architectural style of the surrounding campus and its landscape, which includes birds of paradise as well as olive and pomegranate trees. 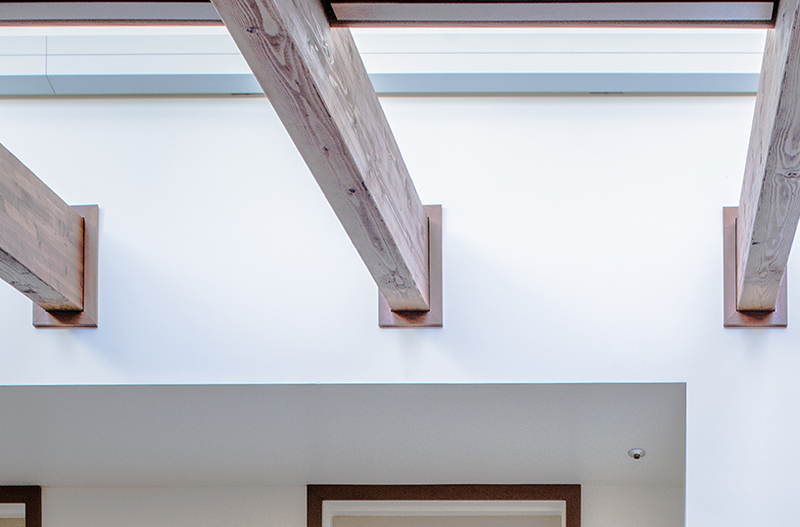 By providing in-depth evaluations of the Warnecke's architecture, and considering the materials, structure and systems within the existing building, we created an addition that followed the character of his design. 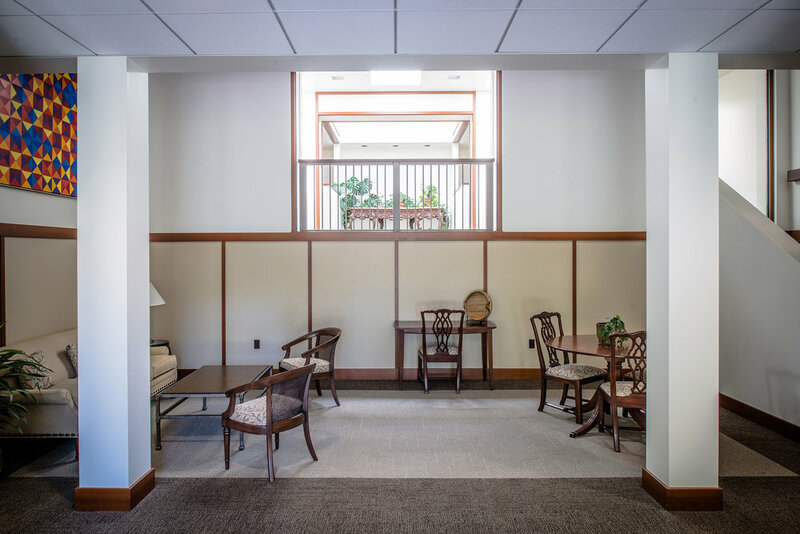 Following his explorations through exposed structural beams, airy balconies, and the play of sunlight and shadow, the new wing nestles quietly between the traditional and modern settings and reinforces the cultural connections between generations. 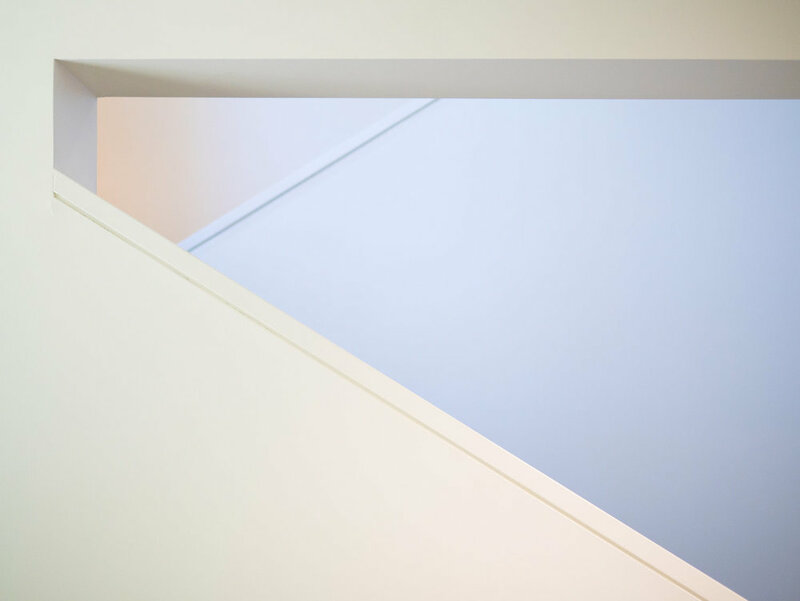 Colors and material selections enhance the modern character of the spaces.